It feels like an eternity since Bullfrog were plying their trade creating early entries to the time management/tycoon style game which litter the flash game market today. 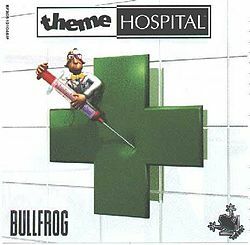 For me they were the top dog when it game to this genre so much so that I recently decided to re-live the experience of one of their most popular titles Theme Hospital. I found that this has been made possible by some clever so and so who has released an open source version CorsixTH, you can download it here for free you will still need a copy of the original game but this clone will run on your much more modern machines without the need to emulate MSDos. So how does it stand up against its modern day equivalents ….. well considering it doesn’t really have any rivals <EDIT: I just found out that a title named Hospital Tycoon was released in ’07 but apparently it was cack> it holds up really well. 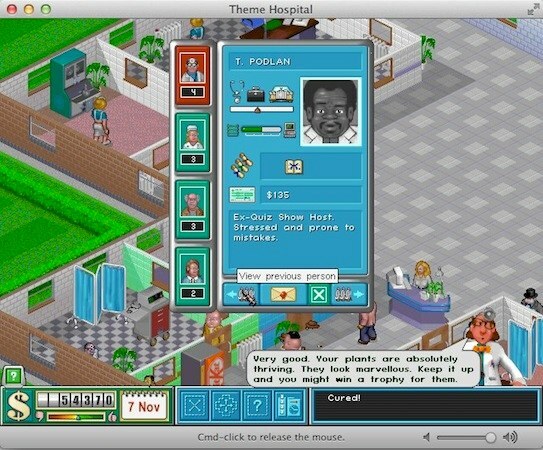 Challenging, fun and funny Theme Hospital is still a clever little game with a lot to offer. Starting out small with just a few diagnosis types and a few cures, you need to keep your little slice of the NHS running smoothly while ensuring you don’t overspend on staff, building maintenance and expansion. Throughout the game you will need to research new ways to cure (or kill) your patients and train up your doctors to become more efficient life savers this is made all the more challenging by the tiredness level of your staff and their temperamental nature. I remember this game being hilarious back in ’97 when it was first released but looking at it now it seems as if that was more a product of my adolescent mind than anything else, the voice ringing out over the loudspeaker and the descriptions of the diseases are a lot less amusing than I remember although it did pull a smirk from me when one of the celebrity visitors to my simple hospital was a ‘Billy Saville MBE’ luckily for me though I didn’t have a childrens ward. Some of the ailments that your patients exhibit are still fairly amusing, the bloaty head disease and it’s pop and re-inflate cure will always make me chuckle. As the game goes on you will find more and more of these illnesses which will require further diagnosis and more elaborate treatment methods, Slack tounge is another with a ridiculous appearance and an insanely painful looking treatment. Graphically it doesn’t look to bad even today, especially with CorsixTH’s hi res upgrade working it’s magic, it’s nothing special but it puts most of these micro management phone/tablet games to shame. That brings me to my next point, there is an Android version of this open source clone available (avoid the paid for one of the market place as you can get it free on the corsixTH website mentioned above) it needs work because a lot of the control elements have not been optimized for touch screens, which is fair enough given that it’s a free project made by some generous fella in his spare time. The fact that a game like this can be ported to a mobile device kind of makes me wonder why we aren’t seeing more titles like this revived for the mobile gaming market, the architecture is all there and if we can run something as complex as the Dreamcast title Jet Set Radio on even the most low grade of Android device surely games like Theme Hospital, Dungeon Keeper, Populous, Settlers, Cannon fodder and many other classic PC titles could surely be manageable? Games like this would work perfectly on a touch device with a few tweaks so why not make it happen? It seems that the touch device gaming market is forever doomed to be plagued by these god awful micro transaction games …. I don’t know who is spending the money on this stuff but please stop because our handhelds are capable of so much more if only the developers were forced to try rather than release re-skinned city management and farmville type games. Perhaps I am wearing the rose-tinted spectacles of nostalgia here but I am still really enjoying playing this game again, yes it’s pretty basic and once you have seen each facility used once there is nothing really new to get from the game other than the satisfaction of running the hospital efficiently but I think those new to the title should still get something of a kick out of it. 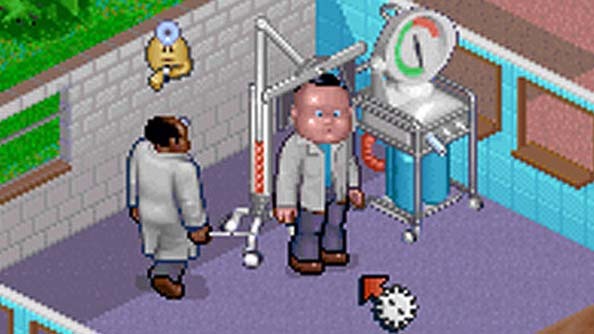 Do you remember Theme Hospital? Do you know of any other openSource games I can try (I already have OpenTTD), do micro transactions piss you off as much as they do me? or do you love em? Answers on a postcard….. This entry was posted in Gaming, Retro Gaming, Tech and Gaming Procrastination and tagged bullfrog, open source, theme hospital, time management, tycoon by eremenko. Bookmark the permalink.